A damaged heat exchanger in a gas furnace is potentially dangerous to a home's occupants and should not be ignored. Broken and leaking heat exchangers are responsible for about 1,500 deaths per year in the United States, and many more people are poisoned by exposure to toxic gasses that go unfiltered by defective heat exchangers. It is impossible to determine if a heat exchanger is cracked solely by visual inspection, but these signs and symptoms can give you an idea of whether you should call a professional to inspect your furnace's heat exchanger. A correctly operating furnace has a clear, steady blue flame. 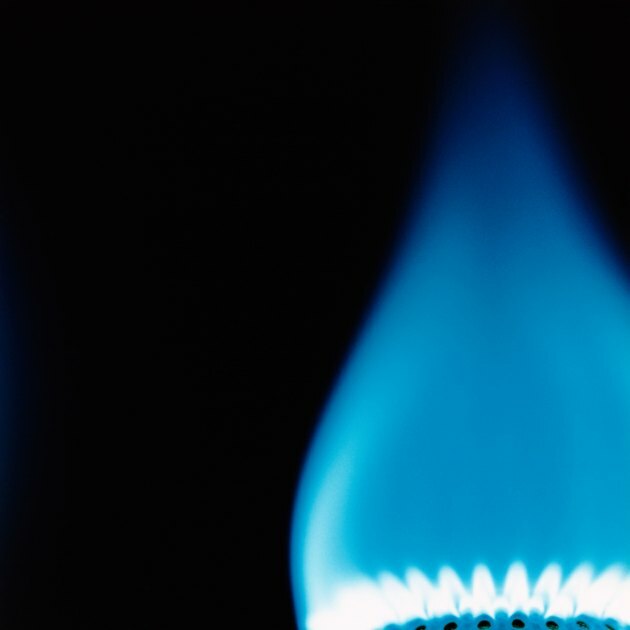 A normally operating gas furnace has a steady blue flame. A burner with a moving yellow flame can mean that the burner is dirty or that the heat exchanger is cracked. According to Exclusive Buyer Realty, "flames (that) flicker or lean more as the house fan comes on (a couple of minutes after ignition)," are possible signs of a cracked heat exchanger." When the external components show signs of either minor or significant wear, the internal components could be damaged as well. Stress cracks can develop due to the components' expansion and contraction that occurs each time the furnace heats and cools. In addition, components can become corroded because of exposure to fumes that emit chloride or exposure to moisture from other sources. The appearance of a black carbon buildup on the furnace interior is caused by a unit that does not burn cleanly. Soot can collect when combustion is incomplete. This can be caused by burners that are improperly adjusted or a cracked heat exchanger. A faulty heat exchanger will produce a strong and unpleasant odor that smells similar to formaldehyde. This odor alone can cause severe headaches and other physical symptoms in humans. 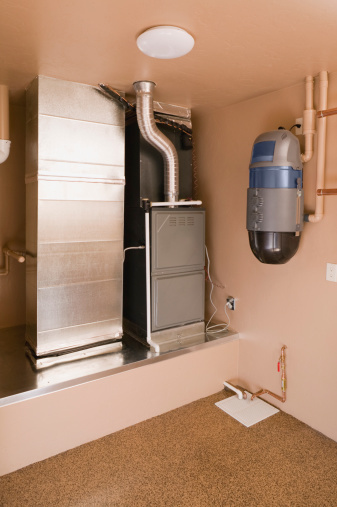 If you smell a formaldehyde-like odor, you should immediately call a professional for a furnace inspection. Combustion gases leaking from a cracked heat exchanger can cause frequent headaches as well as flu-like symptoms. Combustion pollutants, such as carbon monoxide, nitrogen dioxide and sulfur dioxide, can cause eye and nose irritation, disorientation, sleepiness and nausea. If you experience these symptoms only when you're at home and the symptoms abate when you leave your home, or if you share these symptoms with other people in your home, have the air quality of your home inspected immediately. Although these symptoms can have other sources, persistent symptoms may suggest a cracked heat exchanger.